Similar populations of seabed-rooted animals separated by 1,500 miles of ice, researchers say, could mean that the West Antarctic Ice Sheet was once a trans-Antarctic seaway. This surprising find has also led researchers to wonder if a warming planet could again cause the thick ice sheet to collapse and give way to a swath of open water. The team, which published their study in Global Change Biology, found similar but separated bryozoans–creatures also called moss animals–in both the Ross and Weddell Seas while conducting the Census of Antarctic Marine Life. Given that bryozoans don’t move all that much, lead author David Barnes suggests that the isolated populations came from the same, connected habitat. If that’s the case, Barnes says, this past disappearance of the mile-thick ice sheet, possibly as recently as 125,000 years ago, hints at the West Antarctic Ice Sheet’s fragility. 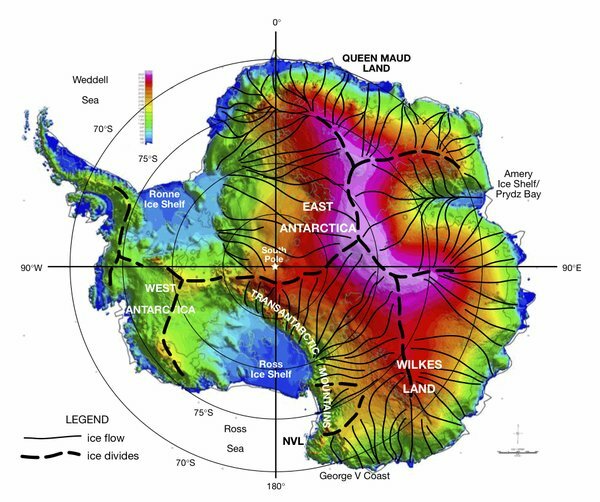 Calling the ice sheet Antarctica’s “Achilles’ Heel” in a press release, he says it might not withstand a warming planet. Studying how Antarctica’s geography has changed in the past may give researchers a better understanding of how sea levels will change if the sheet melts. Posted on January 8, 2011, in antarctica, research. Bookmark the permalink. Leave a comment.